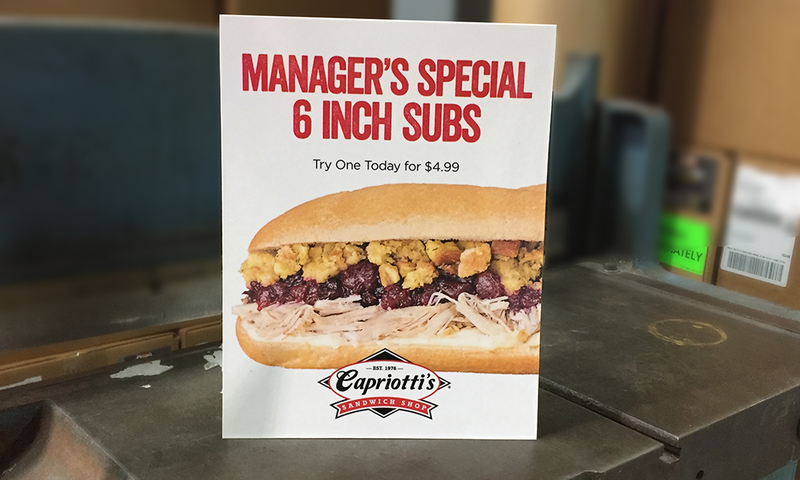 Capriotti's Sandwich Shop is famous for their turkey and dressing sandwiches better known as “The Bobbie”. After a corporate move to Las Vegas, it was vital to find a partner for print communications that was consistent and accurate for their locations. 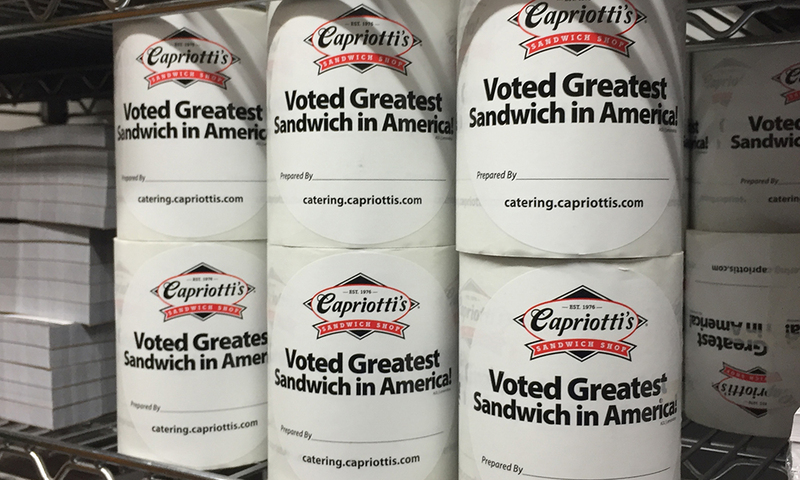 Capriotti’s Sandwich Shop, an award winning and top 500 franchise started on the east coast and relocated their corporate offices to Las Vegas. Local investors who loved the chain purchased the company. In their goal to increase their national footprint, the search for a marketing fulfillment company with reach and experience became a top priority. 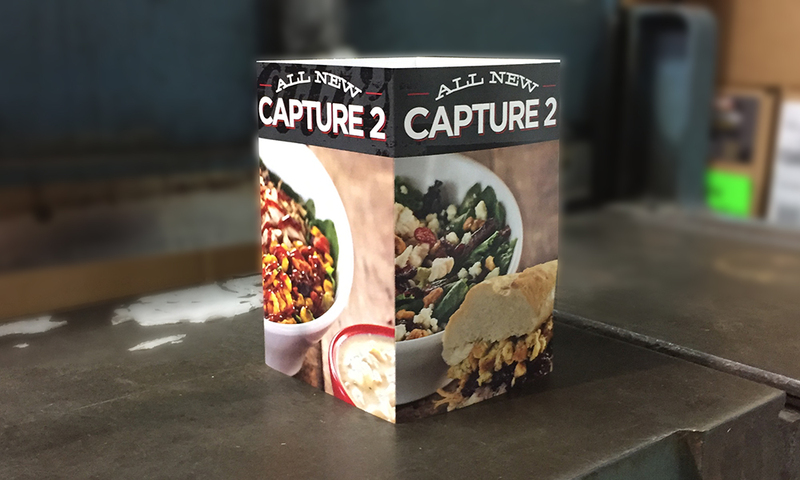 Capriotti’s realized there were significant challenges to handle the rapid expansion of their brand and needed customized marketing materials for their various locations. After a national review of marketing fulfillment firms, Vivid Ink Graphics was chosen. 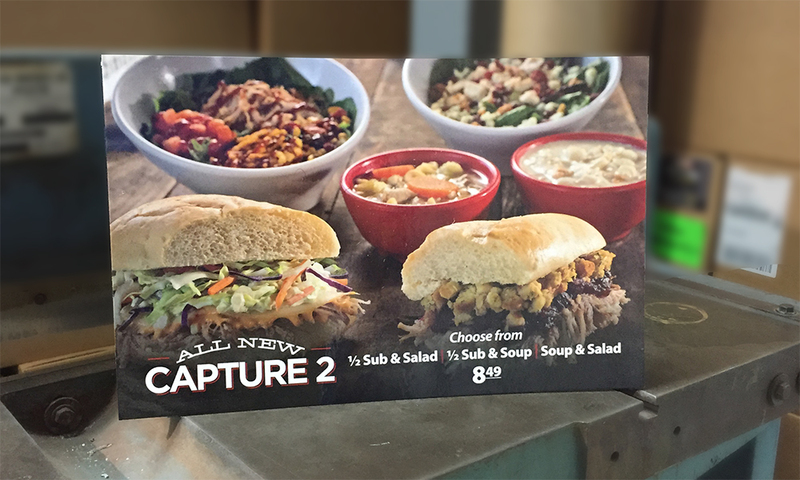 Capriotti’s needed a partner who could offer their Franchisees and Managers an accessible and simple platform for the seamless ordering of their marketing material. Accessibility to customizable products at the ordering stage with quick turnarounds and low-cost shipping was another necessity. Vivid Ink Graphics solved these problems by offering: A custom online portal accessible by Phone, Tablet or PC with 24-hour access. 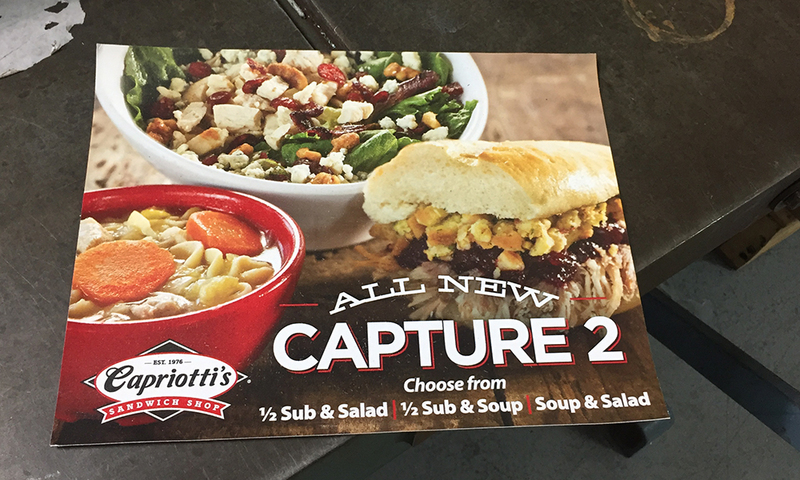 Capriotti’s gained an integral system to manage their national expansion offering Franchisees and Managers 24 hour access and customization at their fingertips. 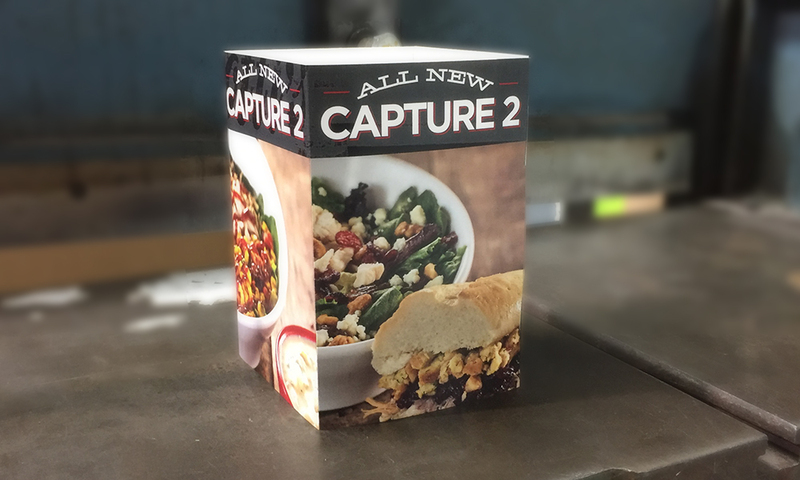 Capriotti’s marketing team sends material to Vivid Ink Graphic’s production staff to support store customization and ensure quality throughout the brand. Costs have been lowered through the shell program and brand standards have been established and maintained. Products ship under the lowest rate FedEx offers, greatly lowering Capriotti’s shipping costs. Once Vivid Ink Graphics was chosen, our production staff quickly built a portal with templates that allow customization of the brand’s marketing materials. Vivid Ink Graphics has become our reliable source to ensure our marketing material is produced and delivered exactly as we planned. Their support has helped us countless times and their experience has offered great insight into how to build a national brand. Our decision to work with Vivid Ink Graphics has been nothing but a windfall for our brand.